For the first time since Gavin Newsom became Mayor, the Board of Supervisors successfully voted to override a mayoral veto. 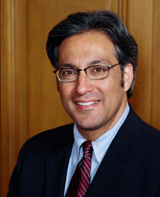 By a 9-2 vote, the Board approved Supervisor Ross Mirkarimi’s legislation mandating the Police to have foot patrols in neighborhoods citywide. Despite Police Chief Heather Fong’s last-minute announcement that she will initiate a series of foot patrols before the end of the month, Supervisors stressed that the Police Department needed to be held accountable. In fact, more Supervisors voted this time around to override the veto than had originally supported the legislation – as Board President Aaron Peskin publicly switched his vote. This was a victory for community members who had demanded police foot patrols for years, a triumph for the Supervisors who have proven their political muscle and independence, and a stunning defeat for the Mayor – who was already the biggest loser in last week’s local elections. At 5:00 p.m. on the Friday before the Election, Mayor Newsom vetoed the legislation. Although it had originally passed by an 8-3 veto-proof majority, the media immediately started asking if enough Supervisors would stick behind their support, stand up to the Mayor and override the veto. On November 3rd, Jake McGoldrick told the San Francisco Sentinel that he was open to changing his mind. According to Fog City Journal, insiders speculated that Bevan Dufty was a possible flip-flop – and others speculated that Fiona Ma would switch her vote. Incredibly, some even suggested that Sophie Maxwell would turn against it – although she was one of the legislation’s co-sponsors. Foot patrols have become a political issue, but Supervisors made it clear that they were simply responding to their constituents’ basic needs. “The people in my district want and deserve something,” said Sophie Maxwell, who represents Bayview-Hunters Point. “They want to see policemen. They say that seeing police officers on the street makes them feel safe.” Maxwell then added that the Board’s mandate was not mutually exclusive with the Police Chief’s latest plans to implement foot patrols. “It’s not a political issue,” said Supervisor Jake McGoldrick, “it’s a human issue, a social issue and a community issue. We need action – not reaction.” Or as Supervisor Aaron Peskin put it, “You can’t stand up and say ‘I’m going to do it anyway’ without some measure of accountability. This policy has already been embraced by the Chief of Police, so the Board of Supervisors should make it into law.” Only Sean Elsbernd and Michela Alioto-Pier voted against it. In other news, the Board of Supervisors voted 9-2 (with the exact same break-down as the foot patrol legislation) to approve Aaron Peskin’s amendments to the San Francisco Rent Ordinance. This legislation was designed to prevent abuses such as 1030 Post Street, where the landlords claim that their federal tax break exempts them from rent control.